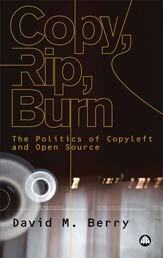 This is the edited text of a talk given by David M. Berry at Transmediale 2013 at the Depletion Design panel. Today there is constant talk about the "fact" that we (or our societies and economies) are exhausted, depleted or in a state of decay (see Wiedemann and Zehle 2012). This notion of decline is a common theme in Western society, for example Spengler's The Decline of the West, and is articulated variously as a decline in morals, lack of respect for law, failing economic or military firepower, relative education levels, threats from ecological crisis, and so on. Talk of decline can spur societies into paroxysms of panic, self-criticism and calls for urgent political intervention. That is not to say that claims to relative decline are never real as such, indeed relative measures inevitably shift in respect to generation ageing and change, particularly in relation to other nations. However, the specific decline discourse is interesting for what it reveals about the concerns and interests of each population, and a particular generation within it, whether it be concerns with health, wealth, or intellectual ability, and so forth. The issue of a tendency inherent in a temporal social location, that is the certain definite modes of behaviour, feeling and thought in what we might call constantly repeated experience in a common location in the historical dimension of the social process is what Karl Mannheim called the generation entelechy (Mannheim 1952). This is the process of living in a changed world and is a re-evaluation of the inventory and the forgetting of that which is useful and covert and which is not yet won. In other words, the particular stratification of experience in relation to the the historical contexts of a specific generation – in both, what we might call, the inner and the outer dimensions of experience. This social process also naturally causes friction between different generation entelechies, such as that between an older and younger generation – there may also be moments of conflict within a generation entelechy or what Mannheim called generation units, although there is not space here to develop this question in relation to the digital. The relative conditions of possibility, particularly in relation to what we might call the technical milieu for a generation entelechy, contribute towards slower or faster cultural, social, and economic change. The quicker the pace of social, technical, economic and cultural change is, the greater the likelihood that a particular generation location group will react to the changed situations by producing their own entelechy. Thus, individual and group experiences act as crystallising agents in this process, and plays out in notions of "being young", "freshness", "cool", or "with it" in some sense, which acts to position generation entelechies in relation to each other both historically and culturally. Mann identifies crucial features of a generation entelechy as (1) new participants in the cultural process are emerging, whilst (2) former participants in that process are continually disappearing; (3) members of one gneration can participate only in a temporally limited section of the historical process; and (4) it is therefore necessary to continually transmit the accumulated cultural heritage; (5) the transition from generation to generation is a continuous process (Mannheim 1952). In relation to this general talk of depletion in Europe and the US, one of the recent decline-issues has been, particularly in the US and UK context, the worry about the decline of computational ability of young generations. More specifically the lack of digital literacy (or what I call elsewhere iteracy) of the new generations. In this specific discourse, the worry is articulated that a new generation is emerging that is not adequately prepared for what appears to be a deeply computational economic and cultural environment. This is usually, although not always, linked to a literal exhaustion of the new generation, the implication being a generation that is unprepared, apathetic, illiterate and/or disconnected. 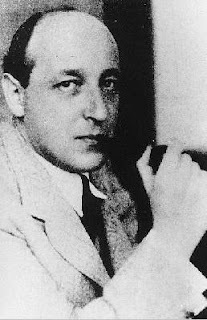 Often these claims are located within what Mannheim calls the "Intelligentsia", he writes, "in every society there are social groups whose special task it is to provide an interpretation of the world for that society. We call these the "Intelligentsia" (Mannheim 1967: 9). It is no surprise, then, that in the instance of digital literacy we see the same strata across society, commenting on and debating the relative merits of computational competences, abilities and literacies at a number of different levels, but particularly in relation to the education of new generations through discussions of school, college and university digital literacies. envisage modernity rather as an attitude than as a period of history. And by 'attitude,' I mean a mode of relating to contemporary reality; a voluntary choice made by certain people; in the end, a way of thinking and feeling; a way, too, of acting and behaving that at one and the same time marks a relation of belonging and presents itself as a task. A bit, no doubt, like what the Greeks called an ethos (Foucault 1984: 39). Here, though, I want to take the problem of exhaustion of the new generations as a focus, the “exhausted” literally, as in terms of the Latin exhaust as “drained out”. In other words to ask the why, how, who, what is “drained out” and where to, in our highly computational cultures? That is, to turn the question around and identify exhaustion of the new generations as indeed an important site of concern, but that the exhaustion that the new generations are experiencing is not an apathy or lack of energy, but rather a product of the political economy, an ethos that results from being subject to the digital draining data, information and energy into technical systems through specific drainage points, operating through and on computational devices, and particularly intimate technologies like mobile phones, tablets and laptops. This is to focus on the extent to which digital media are increasingly becoming exhaustive media, and critically interrogate their function, form and content. when one is reasoning only in order to use one's reason, when one is reasoning as a reasonable being (and not as a cog in a machine), when one is reasoning as a member of reasonable humanity, then the use of reason must be free and public. Enlightenment is thus not merely the process by which individuals would see their own personal freedom of thought guaranteed. There is Enlightenment when the universal, the free, and the public uses of reason are superimposed on one another (Foucault 1984: 36-37). I do not know whether we will ever reach mature adulthood. Many things in our experience convince us that the historical event of the Enlightenment did not make us mature adults, and we have not reached that stage yet. However, it seems to me that a meaning can be attributed to that critical interrogation on the present and on ourselves which Kant formulated by reflecting on the Enlightenment. 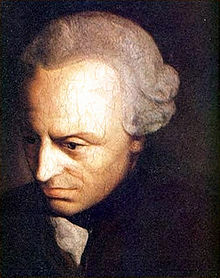 It seems to me that Kant's reflection is even a way of philosophizing that has not been without its importance or effectiveness during the last two centuries. The critical ontology of ourselves has to be considered not, certainly, as a theory, a doctrine, nor even as a permanent body of knowledge that is accumulating; it has to be conceived as an attitude, an ethos, a philosophical life in which the critique of what we are is at one and the same time the historical analysis of the limits that are imposed on us and an experiment with the possibility of going beyond them (Foucault 1984: 49). One way forward might be to begin to map the exhaustion of a new generation entelechy in terms of a new political economy that is emerging in terms of the ability to exhaust us of our thoughts, movements, health, thoughts, life, practices, etc. That is, usefully captured in terms of the term of the art in technical circles of the “data exhaust” that all user of computational systems create. We might therefore think in terms of the computational imaginaries that are crystallised within particular generation entelechies - and how we might gather a critical purchase on them. In other words the generation entelechy connected to a particular computational Weltanschauung, or worldview – what I call computationality elsewhere (Berry 2011). This is to move away from a concern with mere competences of a new generation entelechy and widen the focus on the critical and reflexive abilities of a new generation and how they might be actuated. That is, rather than teach computer programming as a skill for a new economy, instead explore the historical, philosophical, theoretical and critical context for particular kinds of the various forms of digital making. One way of doing this might be to look at concrete case studies of actual programming sites and projects, in order to understand why and how these forms of activity are related, and the context in which they have developed and their trajectories, a research project that has recently begun to be closely associated with critical strands in software studies, for example (Berry 2011). This is a critical means of contributing to the importance of the project of making the invisibility of much of the digital infrastructures become visible and available to critique. Of course, understanding digital technology is a “hard” problem for the humanities, liberal arts and social sciences due to the extremely complex forms which contain agentic functions and normative (but often hidden) values. 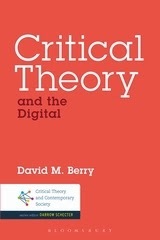 Indeed, we might contemplate the curious problem that as the digital increasingly structures the contemporary world, curiously, it also withdraws, becomes backgrounded (Berry 2011). 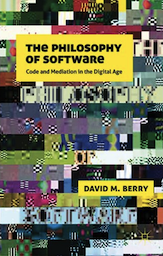 This enables us to explore how knowledge is transformed when mediated through code and software and apply critical approaches to big data, visualisation, digital methods, digital humanities, and so forth. But crucially to also see this in relation to the crystallisation of new entelechies around digital technologies. 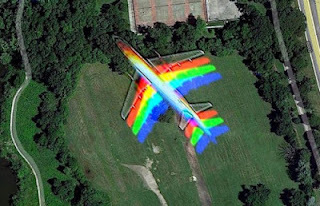 Thinking about knowledge in this way enables us to explore generational epistemological changes that are made possible by the installation of code/software via computational devices, streams, clouds, or networks, what Mitcham calls a ‘new ecology of artifice’ (Mitcham 1998: 43). Indeed, the proliferation of contrivances that are computationally based is truly breathtaking, and each year we are given statistics that demonstrate how profound the new computational world is. For example, in 2012, 427 million Europeans (or 65 percent) use the internet and more than 90% of European internet users read news online (Wauters 2012). 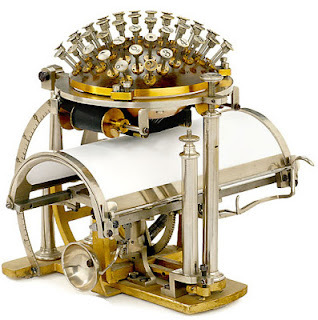 These computational devices, of course, are not static, nor are they mute, and their interconnections, communications, operation, effects, and usage have to be subject to the kind of critical reasoning that both Kant and Foucault called for. This is nonetheless made much more difficult by both the staggering rate of change, thanks to the underlying hardware technologies, which are becoming ever smaller, more compact, more powerful, and less power-hungry, and by the increase in complexity, power, range, and intelligence of the software that powers them. Of course, we should also be attentive to the over-sharing or excessive and often invisible collection of data within these device ecologies that are outside of the control of the user to ‘redact themselves’, as represented by the recent revelation of the "Path" and "Hipster" apps that were automatically harvesting user address book data on mobile phones (BBC 2012). We might consider these transformations in light of what Eric Schmitt, ex-CEO of Google called "augmented humanity". He described this as a number of movements within the capabilities of contemporary computational systems, such that at Google, “we know roughly who you are, roughly what you care about, roughly who your friends are...Google also knows, to within a foot, roughly where you are... I actually think most people don’t want Google to answer their questions... They want Google to tell them what they should be doing next” (Eaton 2010). Translated this means that Google believes that it knows better than the user what it is that they should be doing, and in many cases even thinking. Thus, the computational device the user holds contains the means to source the expertise to prescribe action in particular contexts, what we might call “context consumerism”. That is, that the user is able to purchase their cognitive/memory/expertise capabilities as required on-the-fly. Thus, humanity becomes what we might call, following the development of programming languages such as C++, a new augmented or extended humanity++. Indeed there are now a number of examples of these developments in relation to, for example, Google Glass, contextual UX, locative technologies, etc. We might consider the entire technical and media industries in light of what Stiegler (2010) has called the "Programming Industries" which are involved in creating institutionalized “context”. This is data collected from the tacit knowledge of users and their “data exhaust” and delegated to computer code/software. These algorithms then create “applied knowledge” and are capable of making “judgments” in specific use cases. Indeed, today people rarely use raw data – they consume it in processed form, using computers to aggregate or simplify the results. This means that increasingly the “interface” to computation is “visualised” through computational/information aesthetics techniques and visualisation, a software veil that hides the "making" of the digital computations involved. Indeed, today we see this increasingly being combined with realtime contextual sensors, history and so forth into “cards” and other push notification systems that create forms of just-in-time memory/cognitive processes. For example, in the UK, with the turn to a competitive model of higher education, literally each university also begins to compete for an "audience" of students to take its courses, and for which the students now pay a considerable sum of money to be both educated and entertained. We could say that the universities become, in effect, another branch of the cultural industry. This represents a dangerous moment for the creation of critical attention, the possibility of reflexivity and enlightenment, in as much as increasingly students receive from the lecturer but do not need to participate; they await their educational portions which are easy to swallow, and happily regurgitate them in their assessments. The students are taught that they are the consumers of a product (rather than the product of education themselves as reflexive citizens in majority), and that this service industry, the university, is there to please them, to satisfy their requirements. How could this be otherwise when they are expected to fill in survey after survey, market research questions to determine how "satisfied" they are, how "happy", and "content" they are with their consumption. Which remains, finally, the delivery of the best possible product, the first class degree, the A marks, the final certificate covered in gilt which will deliver them the best paying job possible. The university itself becomes a device, an interface between consumer and producer, and which too becomes highly technologised as it seeks to present a surface commodity layer to its consuming students. It is in this context that MOOCs (Massive Open Online Courses) should be understood and critiqued as they represent only the public face of changes taking place on the inside of universities at all levels. The new imaginaries of highly invasive congnitve technologies are already being conceptualised as the “Age of Context” within the programming industries. Indeed, under this notion all material objects are carriers of signal to be collected and collated into computational systems, even the discarded, the trash, etc. contains RFID chips that can provide data for contextual systems. But more importantly, the phones we carry, the mobile computers and the tablets, now built with a number of computational sensors, such as GPS, compasses, gyroscopes, microphones, cameras, wifi, radio transmitters and so forth, enable a form of contextual awareness to be technically generated through massive real-time flows of data. For example, in the US Presidential election on 6/11/2012, Twitter recorded 31 million election-related Tweets from users of the streaming – 327,452 Tweets per minute (TPM) (Twitter 2012) all of which can be fed to the user. In a real-time stream ecology, such as Twitter, the notion of the human is already contested and challenged by a form of "hyper attention" in contrast to the 'deep attention' of previous ages. Indeed, the user is constantly bombarded with data. This is increasingly understood as a lack within human capabilities which needs to be remedied using yet more technology – real-time streams need visualisation, cognitive assistants, push notification, dashboard interfaces, and so forth. 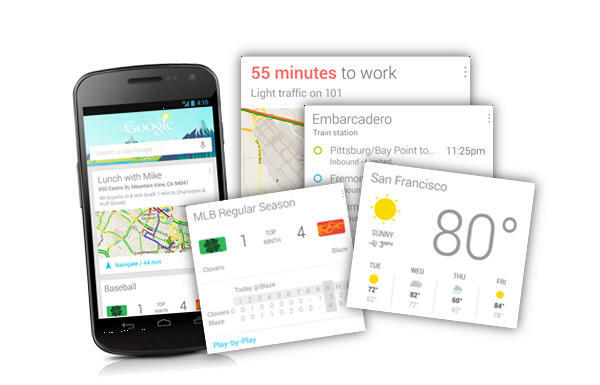 Google Now and the Notification "Cards"
Google Now gets you just the right information at just the right time. It tells you today’s weather before you start your day, how much traffic to expect before you leave for work, when the next train will arrive as you’re standing on the platform, or your favorite team's score while they’re playing. And the best part? All of this happens automatically. Cards appear throughout the day at the moment you need them (Google 2012). social media,  really smart mobile devices,  sensors,  Big Data and  mapping. [Such that] the confluence of these five forces creates a perfect storm whose sum is far greater than any one of the parts (Israel 2012). These various layers are then loosely coupled to interoperate in unexpected but "delightful" perceived fashion, such as experienced with the conversation interfaces, such as Apple Siri, which have both an element of "understanding", but also contextual information about their environment. Critically engaging with this age of context is difficult due to the distributed software, material objects, "enchanted" objects, black-boxed systems and computational "things" that make it up. The threads that hold these systems together are not well understood as a totality nor their new calculative dashboards (e.g. notification interfaces). Indeed, we can already discern new forms of power that are tentatively visible in this new context layer, enabling new political economic actors, and a new form of intensive exploitation, such as that demonstrated by the intensification of the pre-cognitive moment discussed earlier. I have argued previously that moments like the “new aesthetic”, glitches (Berry 2011, 2012a, 2012b, 2012c), and with others that exceptions and contextual failure are useful to begin mapping these new systems (Berry et al 2012a; Berry et al 2013). The black box of these exhaustive systems is spun around us in wireless radio networks and RFID webs – perhaps doubly invisible. We need to critique moments in exhaustive media that are connected to particular forms of what we might call "exhaustive" governmentality, self-monitoring and life-hacking practices, aesthetic, political, social, economic, etc. but also the way in which they shape the generational entelechies. For example, this could be through the creation of an affective relation with real-time streaming ecologies and a messianic mode of media. Indeed, we might say that anticipatory computing creates a new anticipatory subject, which elsewhere I have called a riparian citizen (Berry 2011: 144). Indeed, it seems to me that mapping how computation contributes to new generational entelechies and functions to limit their ability to critically reflect on their own historical dimension of the social process is a crucial problem, for example where hegemonic rhetorics of the digital - “new aesthetic”, “pixels”, “sound waves” and so forth, are widely used to convince and seldom challenged. Indeed this contributes to a wider discussion of how medial changes create epistemic changes. For me, this project remains linked to a critical ontology of ourselves as ethos, a critical philosophical life and the historical analysis of imposed limits to reach towards experiments with going beyond current conditions and limits (Foucault 1984). Indeed, the possibility of a "digital" enlightenment ethos needs to be translated into coherent "labor of diverse inquiries", one of which is the urgent focus on the challenge to thinking represented by the intensification of the programming industries on the "enlightenment moment" of our prethought. This requires methodological approaches, which could certainly draw on the archeological and genealogical analysis of practices suggested by Foucault (1984) but also on the technological and strategic practices associated with shaping both the policies and concrete technologies themselves – perhaps, if not necessarily "Evil Media" (Fuller and Goffey 2012), then certainly critical software and political praxis. Last, and not least, is the theoretical moment required in developing the conceptual and critical means of defining unique forms of relations to things, others, ourselves (Foucault 1984) that are not limited by the frame of computationality. 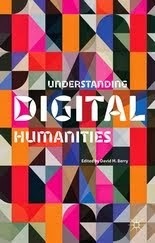 Berry, D. M. (2012c) Understanding Digital Humanities, London: Palgrave. Berry, D. M., Dieter, M., Gottlieb, B., and Voropai, L. (2013) Imaginary Museums, Computationality & the New Aesthetic, BWPWAP, Berlin: Transmediale. 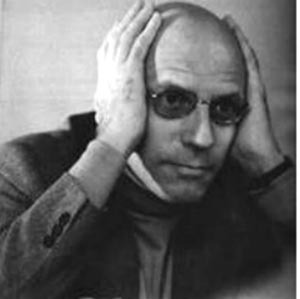 Foucault, M. (1984) What is Enlightenment?, in Rabinow P. (ed.) The Foucault Reader, New York, Pantheon Books, pp. 32-50. Fuller, M. and Goffey, A. (2012) Evil Media, MIT Press. Kant, I (1991) An Answer to the Question: What is Enlightenment?, in Kant: Political Writings, Cambridge: Cambridge University Press. Mannheim, K. (1967) Ideology and Utopia, London: Harvest. Mitcham, C. (1998) The Importance of Philosophy to Engineering’, Teorema, Vol. XVII/3 (Autumn, 1998). Stiegler, B. (2010) For a New Critique of Political Economy, Cambridge: Polity Press. 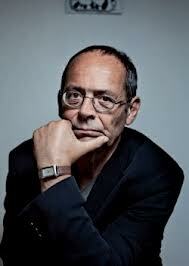 Stiegler, B. (2010) Taking Care of Youth and the Generations, Cambridge: Polity Press. Thrift, N. (2006) Re-inventing Invention: New Tendencies in Capitalist Commodification, Economy and Society, 35.2 (May, 2006): 284.